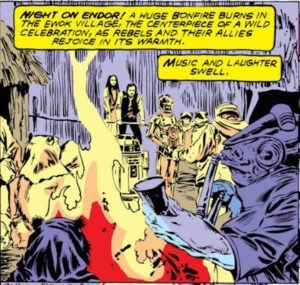 You may know they were among the heroes of Endor, but there's much more to the Mon Cal. The Mon Calamari may not have debuted in the Star Wars saga until Return of the Jedi, but their unmistakable appearance and importance to the Rebel Alliance makes them one of my favorite species. 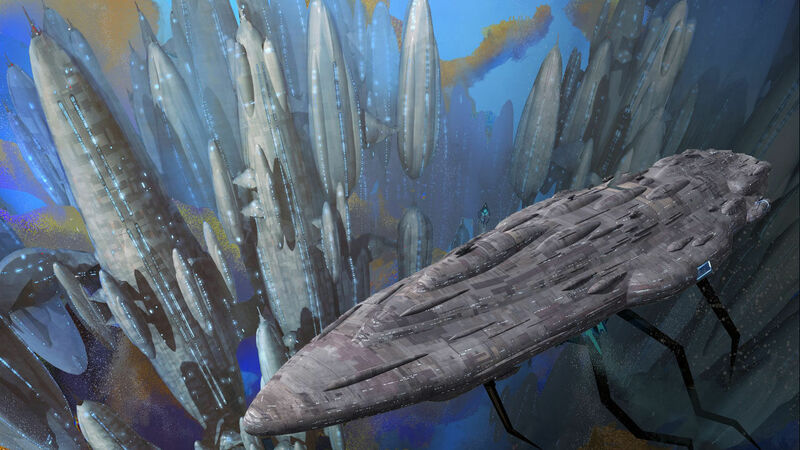 Here are ten facts about the aquatic aliens from Mon Cala. 2. They like their ships so much, their cities resemble them. Take a look at the amazing underwater landscape shots of the Outer Rim, binary star system planet of Mon Cala. In The Clone Wars “Water War” arc, you’ll notice that the buildings erected in the city all tend to resemble their famous star cruisers. The architecture mimics the rounded design of the ships and the city is built both underwater and on the surface of the ocean. 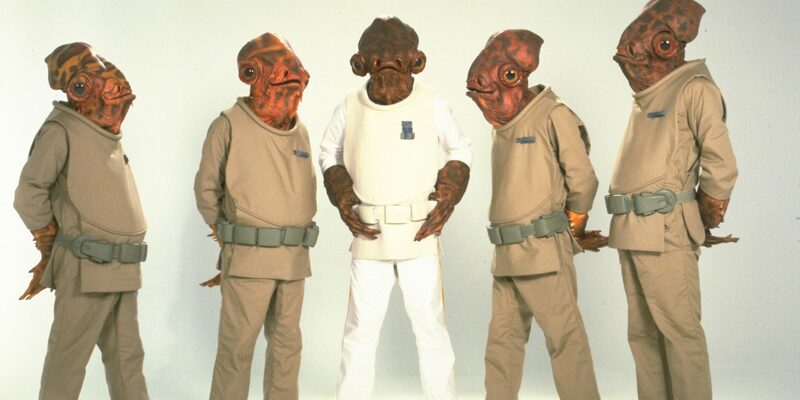 Mon Calamari are adaptable and can live comfortably either in the ocean or above it. 3. They can be light on their feet. Who can forget the chilling scene between Emperor Palpatine and Anakin Skywalker when the undercover Sith Lord explains to the misguided Jedi the “tragedy of Darth Plagueis?” It’s always been interesting to me that such an important story was divulged while casually enjoying a show together. This scene occurs while the duo is taking in a whimsical performance of “Squid Lake” at the Galaxies Opera House. This was a ballet put on by members of the Mon Cal species only, and though we only get quick glimpses of it, it looks incredibly entertaining. 4. Their names were derived from the day’s lunch. 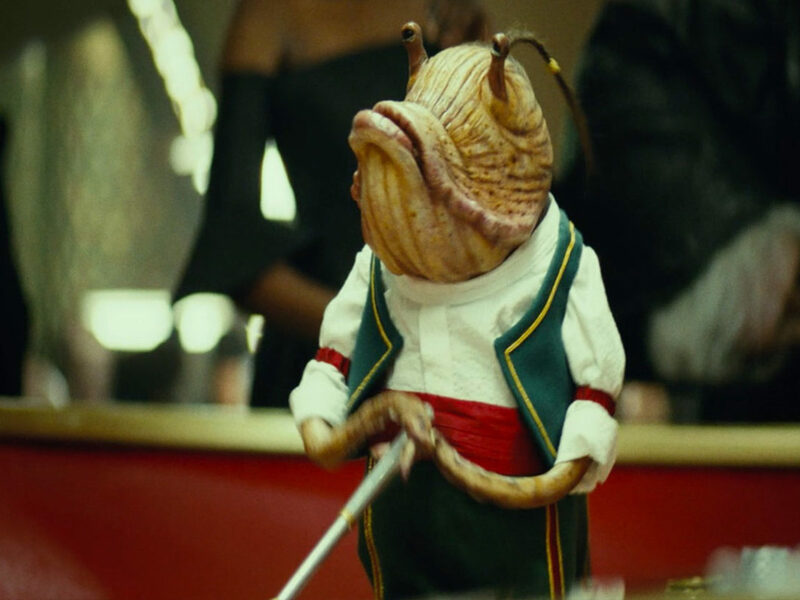 If you’re like me, the mere mention of the name “Mon Calamari” makes you want to grab some lemon juice and cocktail sauce and enjoy a nice appetizer. 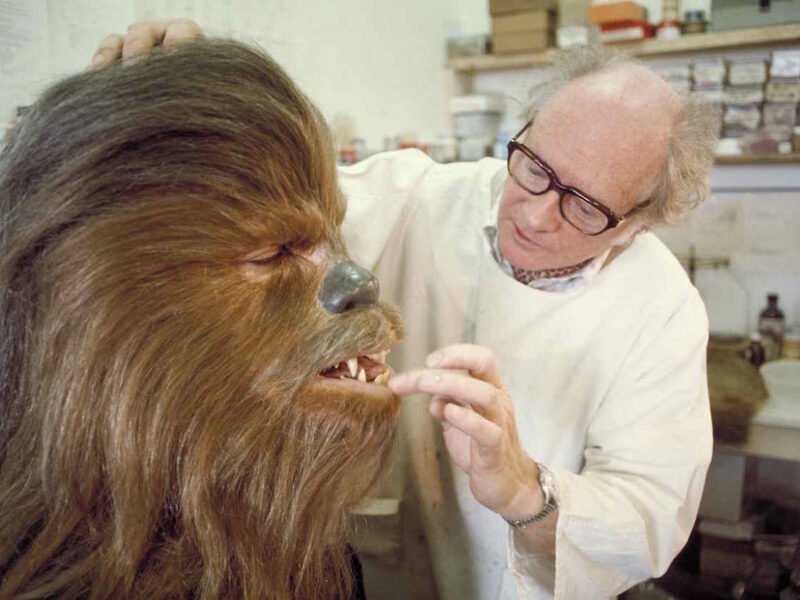 OK — maybe not the most respectable thought to have for our esteemed admiral and hero of the Battle of Endor, but legendary creature artist Phil Tippett had the same thing in mind. 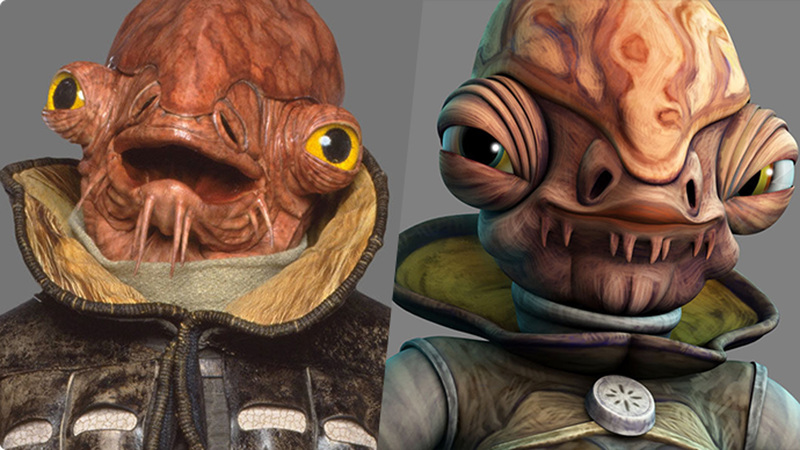 Tippett originally designed Ackbar to be a background character and happened to name him after a calamari salad he was eating at lunch one day. I, for one, am pretty happy with Tippett’s meal choice. Mon Cobb or Mon Caesar just doesn’t have the same ring to it. If that’s not enough to make you hungry, Prince Lee-Char, young aristocrat who came to power after the brutal murder of his father in The Clone Wars, got his name from a clever play on a famous cartoon mascot. Lee-Char was named for Charlie, the spokes-tuna for Starkist. 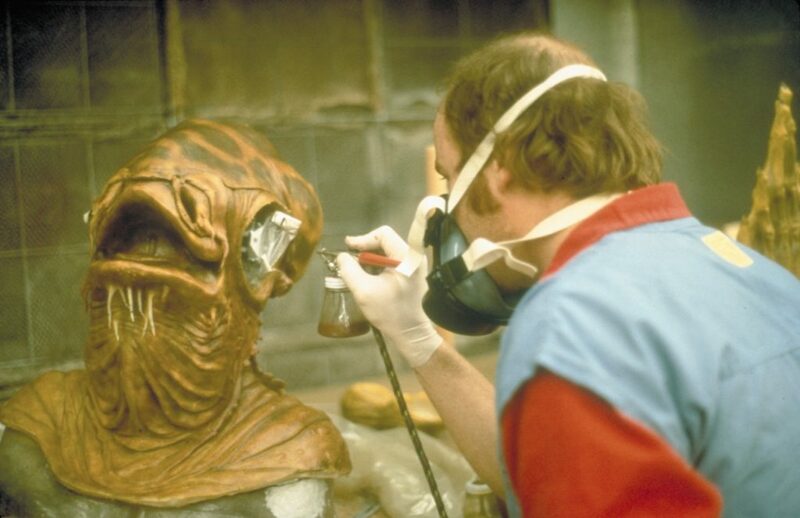 Fun fact: Member of the Gran species, Ree Yees, was originally set to be the character of Admiral Ackbar, but after reviewing the sculpts of the creature, the filmmakers decided on the familiar fishy-looking Ackbar we know and love instead. 5. They fade and grow longer beards with age. Or maybe we should call them by their technical name, “barbels.” Both male and female have fringed mouths and chins that grow with age, giving an elderly Mon Cal a wizened appearance. In the case of royalty or elite members of Mon Cala society, it may be common to adorn the barbels with ornaments, similar to the rings attached to the chin fringe of Prince Lee-Char. Their skin also tends to fade in color, changing from vibrant in their youth to more worn out in their golden years. 6. They’ve got pretty big beef with the Quarren. 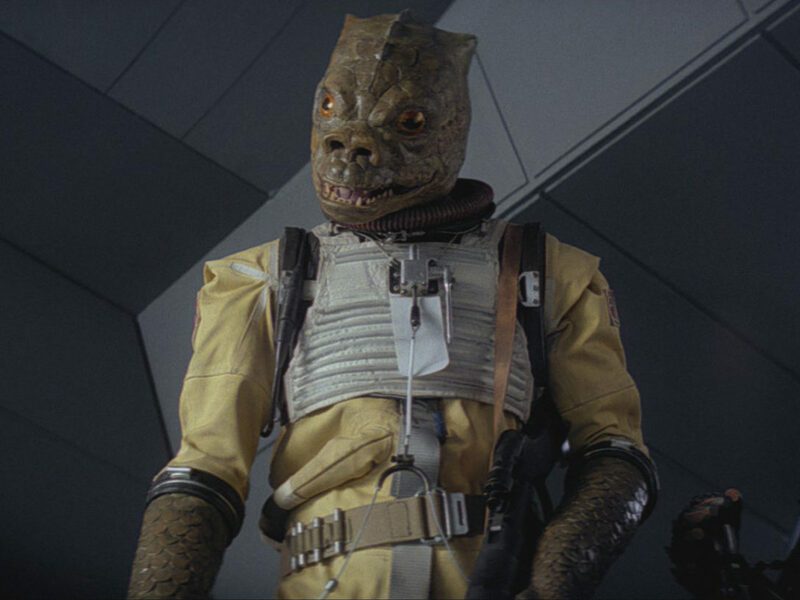 It’s been known for centuries in Star Wars Legends lore that the Mon Calamari and the Quarren share a planet but do not share similar ideals. The Mon Cala are known as a peaceful species while a Quarren might squirt a cloud of ink if you so much as look at them the wrong way. In The Clone Wars we saw this longstanding conflict come to a head with the assassination of Mon Calamari King Yos Kolina and the beginning of the Battle of Mon Cala. 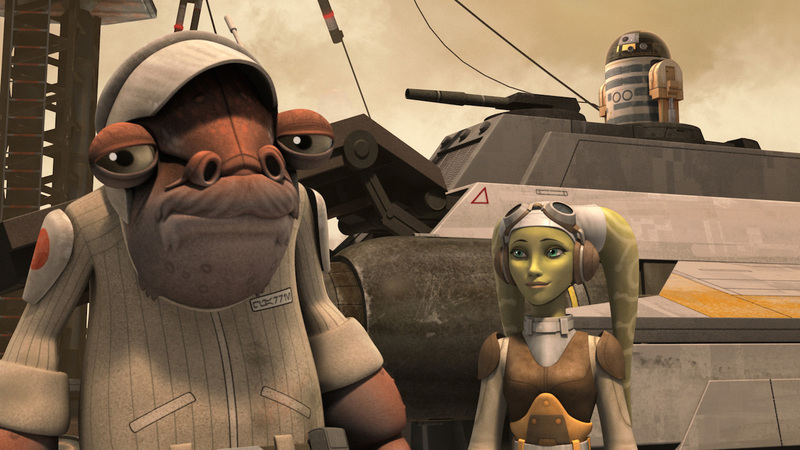 The Quarren had the support of the Separatists, and the Mon Calamari had the Republic. After a three-episode-long skirmish including some Gungans, a crazy Karkarodon (shark person) named Riff Tamson, and a buff and robe-less Kit Fisto, the two species were able to reconcile…for now! 7. Senator Meena Tills actually switched genders. 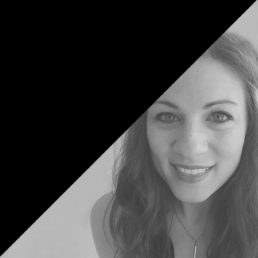 When the Lucasfilm Story Group is tasked with choosing names for Star Wars characters, it is common to give a nod to other Lucasfilm employees. 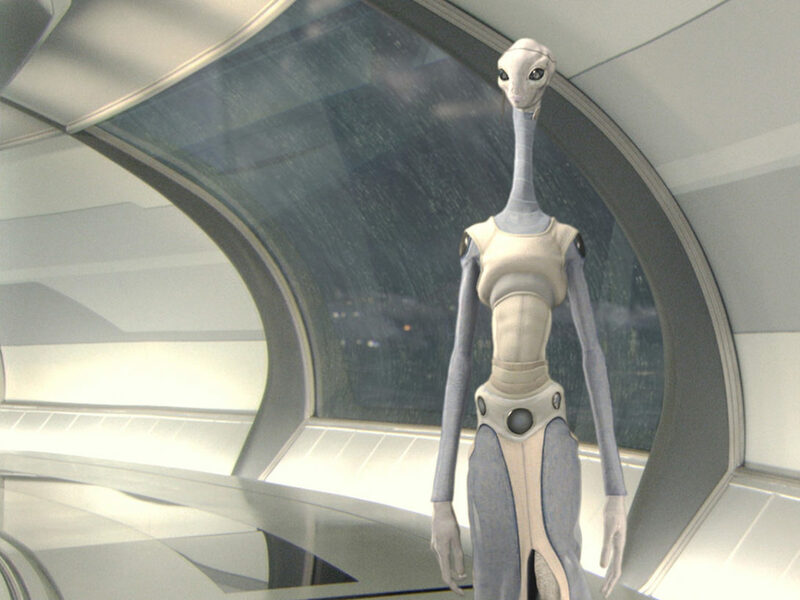 Meena Tills, the Senator from Mon Cala was named after Tina Mills, former Lucasfilm image archivist. 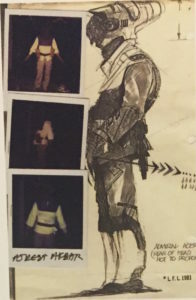 When the character was debuted in Revenge of the Sith, the performer under the Mon Calamari guise was actually a man, leading action figure packaging and Legends storytelling to also claim the character was male. 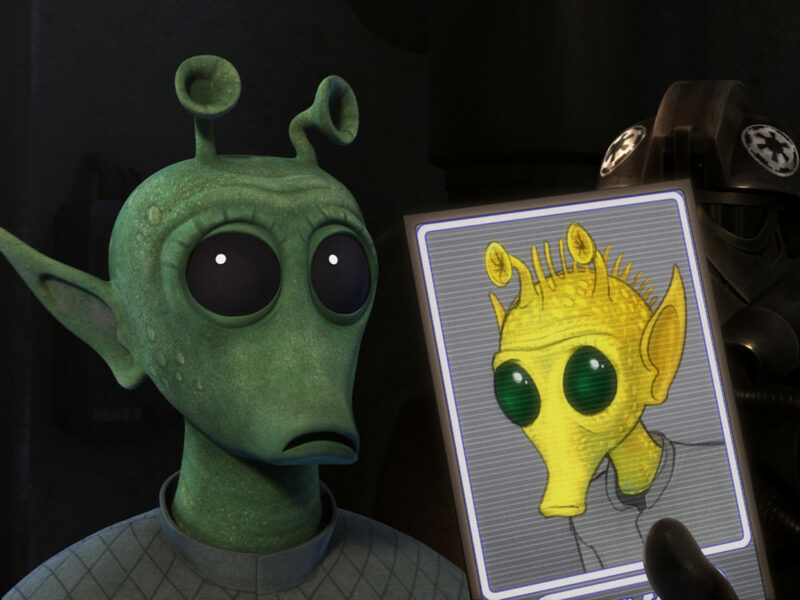 When it was decided that Meena would carry over into The Clone Wars series, it was agreed that in order to match her namesake, Meena would be female. 8. They live among electric eels and microplankton. 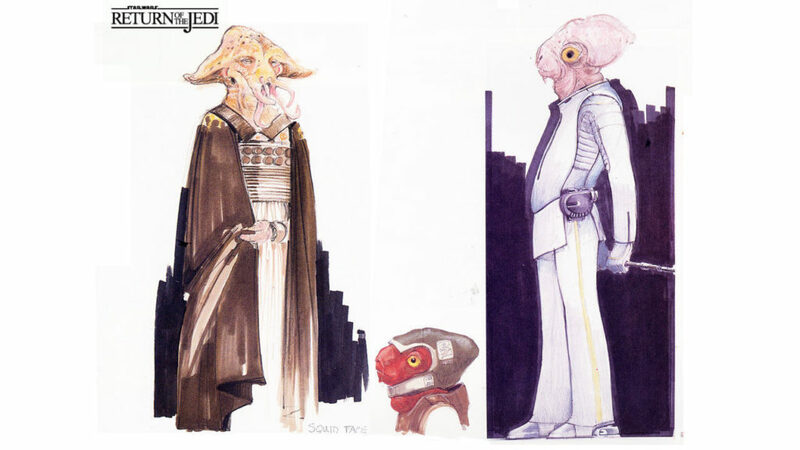 In addition to sharing their turf with the Quarren, Mon Calamari also inhabit their homeland with two other interesting creatures. “Electric eels” or “Mon Cala eels” are a slippery, predatory creature with four eyes and a fanged under bite. 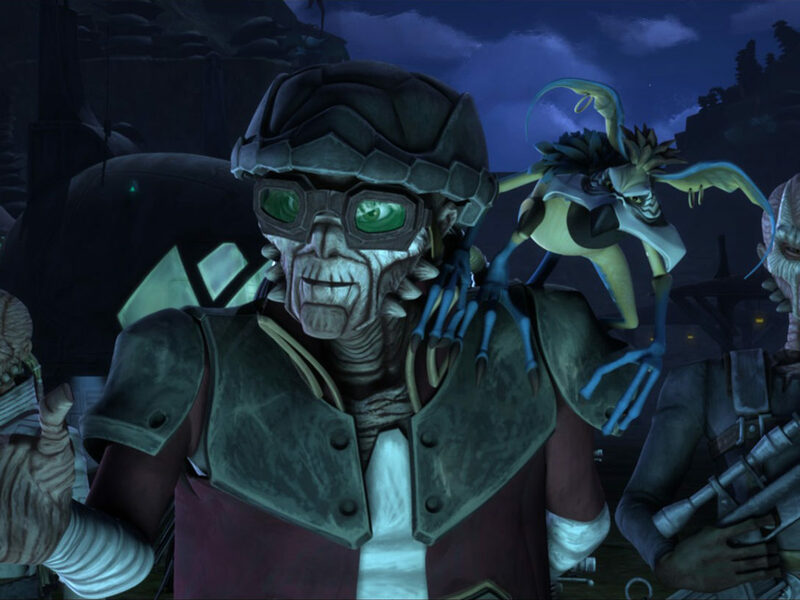 In The Clone Wars episode “Prisoners,” Jedi Anakin Skywalker and Kit Fisto are held hostage in a torture mechanism comprised of four eels held together by binders. The eels create a cage causing painful electric shocks if the prisoner dares to move. Though not all Mon Cala fauna do more harm than good. Mon Cal Microplankton are actually used as a hair dye. Just wash some plankton into your hair and enjoy a nice, pulsating glow. Fun fact: George Lucas requested the concept of the eel cage to show a different way in which Jedi could be restrained. Before this episode, we’d only seen them held back by some sort of energy field. 9. 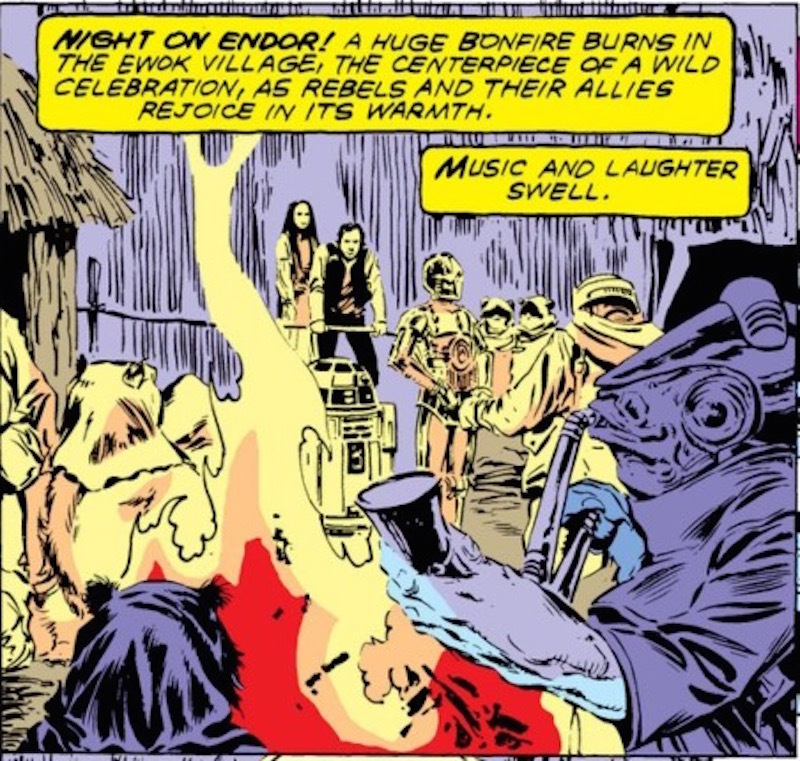 Forest Ackbar’s got the beat. 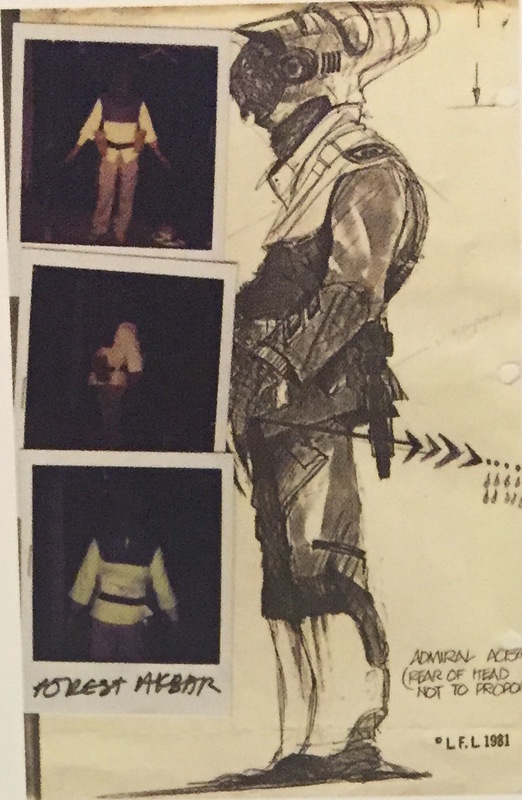 When the extras were being assembled for the Endor celebration scene in Return of the Jedi, one specific Mon Cal was referred to as “Forest Akbar.” Wearing a great protruding, cone-shaped hat and white and brown jacket, this Mon Cal actually got to play the sax in the scene…or some sort of sax-y Star Wars instrument. He’s tough to spot in the film, but the Marvel adaptation of Return of the Jedi gave Forest Ackbar his close-up. Where did Forest Ackbar get his magical sax? Did he have it stashed away on the Home One? Does he play it on the regular or is it just something he breaks out at Ewok parties? I’ll be pondering this for weeks. 10. 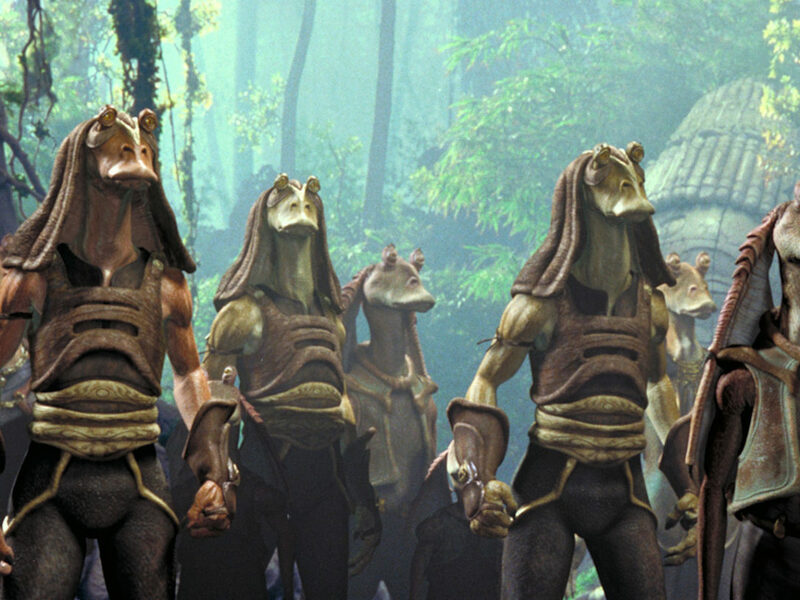 You can expect them in Rogue One: A Star Wars Story. How did I do? 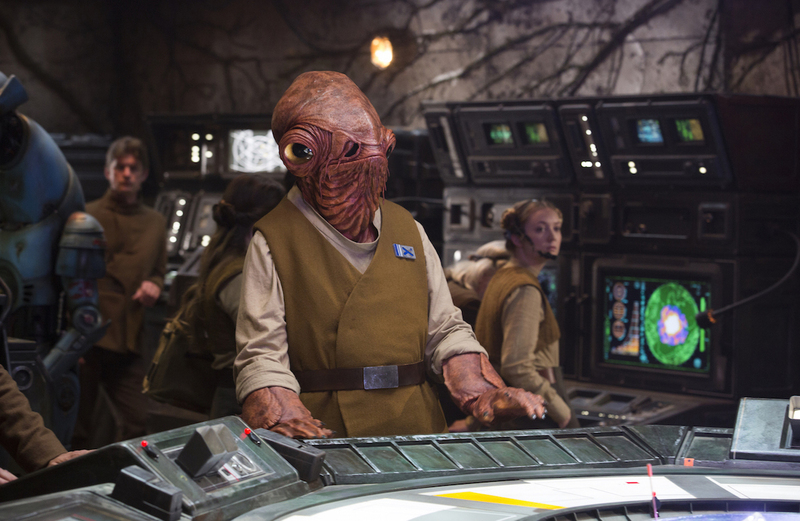 Anything else you’d like to share about the magnificent Mon Calamari? Let me know in the comments below! 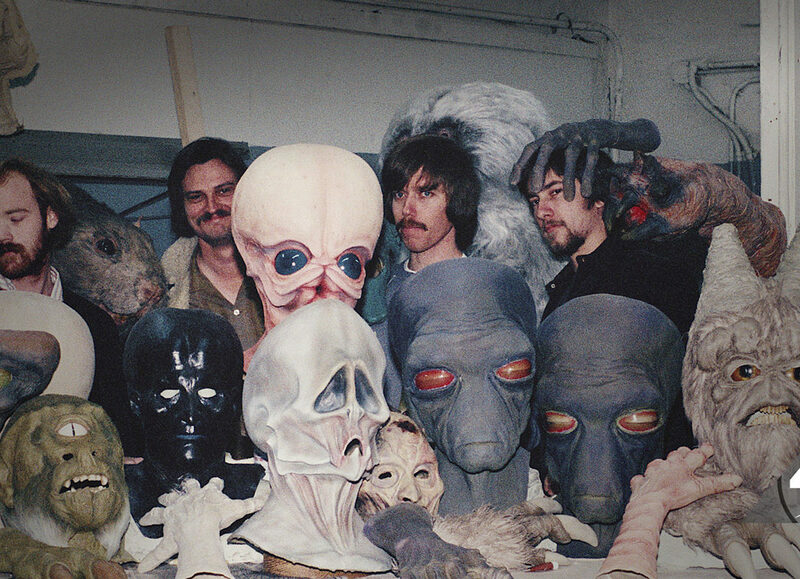 Sources: The Making of Return of the Jedi, J.W. Rinzler, Del Rey, 2013; Star Wars Rebels: Sabine My Rebel Sketchbook, Daniel Wallace and Annie Stoll, Reader’s Digest, 2015; Ultimate Star Wars, Ryder Windham, Adam Bray, Daniel Wallace, DK, 2015; Star Wars: The Force Awakens Visual Dictionary, Pablo Hidalgo, DK Children, 2015.